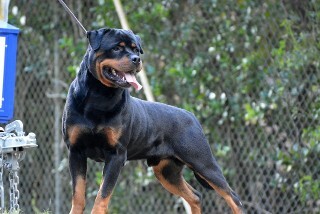 Wasko is co-owned with Scott Norris of "Vom Schoendorf Rottweielers"
Wasko von der Urbacher Hohe is a strong-powerful male from the well-known"Urbacher Hohe" kennel in Germany. He is the only direct male here in the USA from Kliff von der Crossener Ranch. 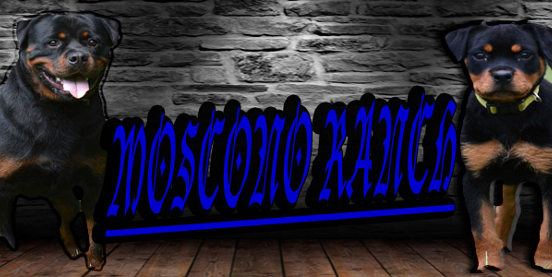 Wasko has a great out-going personality with tremendous bone strength and robust head. 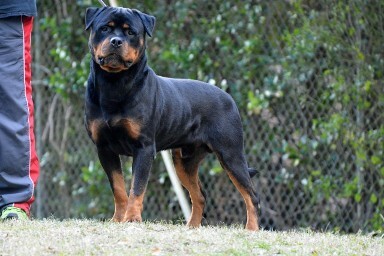 His pedigree and great Rottweiler male attributes make Wasko one of the top elite Rottweiler studs here in the USA and in the world. We are confident he will make a great contribution to our breeding program. 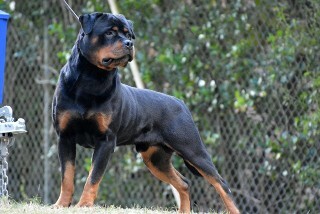 His type and genetics complement well with our breeding program. Wasko is also one of the best show dogs in the USA. He has many excellent raings and also many YTH Sieger titles. He has already stamped his huge head on various litters and his offsprings have proven themselves in the show ring by knocking out multiple best male puppy and best female puppy trophies.